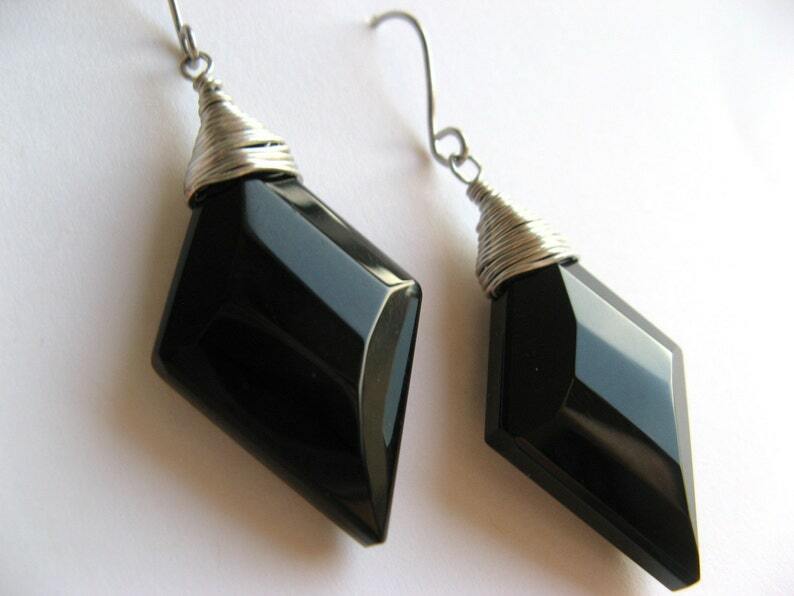 Glass faceted diamond shaped lead-safe black celestial crystals (measuring 32x20mm) are what will whimsically dangle from your ears. They are wire wrapped and ready to party! Just beautiful! Thank you also for the gift. I love them! So well crafted and light. Will be back!